For the past three weeks I’ve spent a lot of time at assemblies and conferences… Two weeks ago was our own Synod Assembly where in a landslide, we re-elected our Bishop Mike Rinehart to a six-year term. Last week, I was in Downtown Houston for the Texas Annual Conference of the United Methodist Church. This week I’ve spent with Methodists meeting in Annual Conference in Amarillo. It’s funny how similar we Christians of different denominations really are. In our larger gatherings, there are resolutions and budgets, elections, worship and fellowship. We pray and argue, and stand in the hallways and gossip. But the one thing that unites us all is Jesus Christ. I used to think assemblies and conferences were a waste of money, time and missional energy. But these past few weeks have shown me the importance of pastors and laity and churches gathering to deliberate on just what it means to be the Church in this day and time. And it’s not that much different than the early church, which had multiple conferences and convocations, councils and meetings to pray, worship, debate, and make decisions. And these meetings shaped the future generations of the Church, just as our conferences and assemblies do today. They may be occasionally tedious, boring and contentious, but I have been touched by what the Holy Spirit does when we gather together beyond our little corners of the Church to witness to God’s loving action through Jesus Christ today. 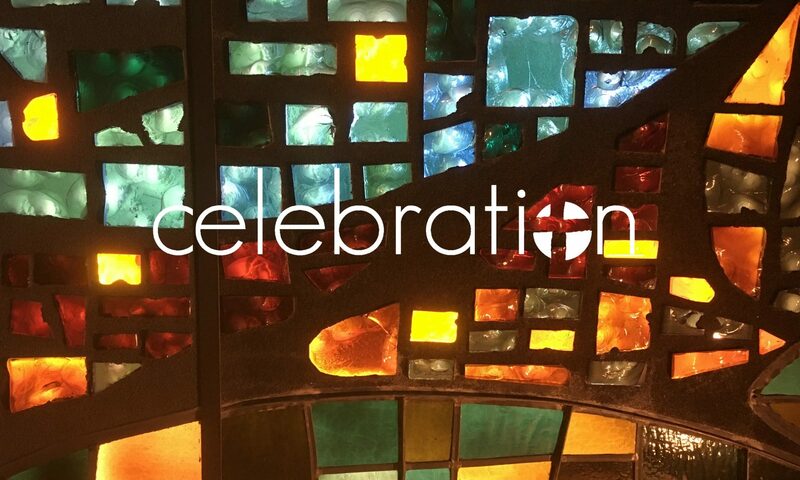 So, pray for the Church- not just for Celebration, but for all Christians, in all the various ways we gather. Celebrate the work we do when we work together as the Body of Christ.